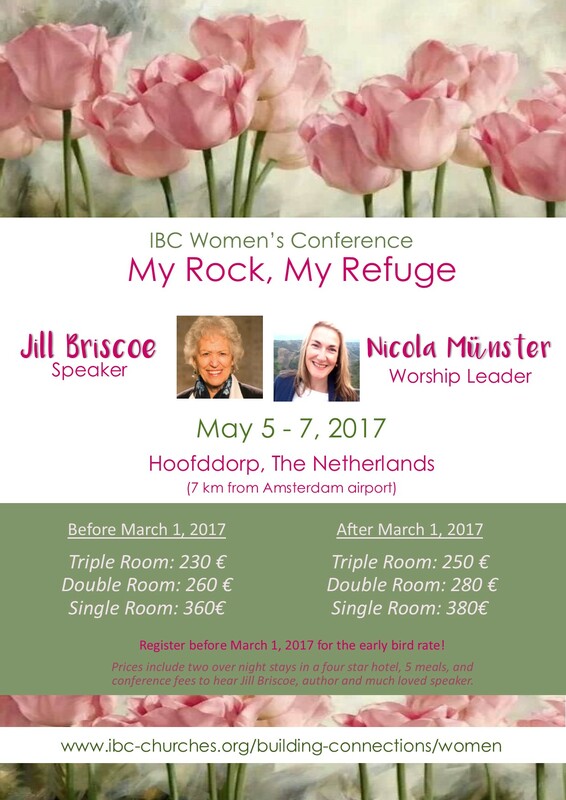 Registration is now open for the Spring 2017 IBC European Women’s Conference, 5-7 May, Hoofddorp, near Amsterdam. Check out the website, for information such as FAQs and conference schedule. Jill Briscoe will be the guest speaker and will challenge all ladies with the theme My Rock, My Refuge. Previous Post Why Loving Jesus Matters Most!